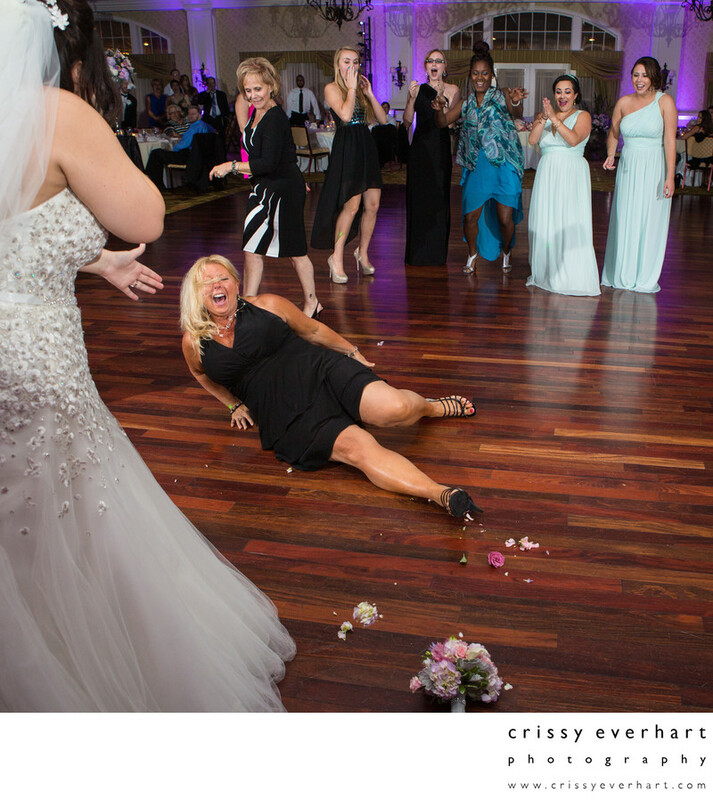 This single lady went for the bouquet and slipped- the expressions of every face in this photo is what makes this image- hilarious disbelief at what just happened!! The bride covers her mouth, laughing, with one hand as she offers her left hand to help up the guest who slipped. The rest of the single ladies are cracking up, and all the seated guests have stopped talking and looked, worried. Best bouquet toss photo ever!